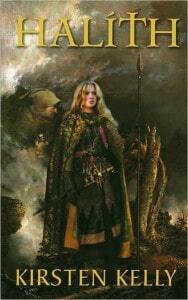 I have always had a soft spot for the female heroine, which is why I gave Halith, by Kirsten Kelly, a try. Halith is an epic tale about a 16 year old girl named Halith, who, in the midst of war, discovers her destiny. Standing an intimidating 6 feet tall, with broad shoulders and masculine hands, Halith notices that she is not like the other girls her age. The daughter of the High King, whom she has never met, his warrior blood line has always called to her. The opportunity to live her dreams abounds when her uncle, King Elemond, makes plans for her to marry a less than appealing male suitor. Halith, determined not to marry, runs away and returns to her childhood home, the place which she was raised, when she was taken away from her mother at a young age. Back home, Halith dares to go where many females before her have failed to go. She takes the path of the warrior and rather effortlessly adapts. Judging her natural abilities, it is apparent that fate was indeed calling. With the threat of the Third Great War looming, Halith learns some life altering things about herself, as well as about those in her life. The role she plays is much more important than she ever expected. Easily, most enjoyable about Halith are the characters. Halith is that can-do character that I couldn’t help but root for, with her child-like ways, mixed with a warrior’s heart. The characters which Halith befriend are a mixed salad of fun, from Gavin, (her Dwarven BFF), Gilraen (the elven beauty), Vedra (the ambitious wizard in training) to Matlin (an enjoyable yet cutthroat rogue). Together this cast of characters make the story that much more intriguing. One unfortunate hiccup comes in the form of Lord English, he is a nobleman as well as a warrior. Kelly apparently wanted to add a touch of romance, but it seemed forced. Unlike the other characters, English was a bit bland and he only appeared a few times in the book. Overlooking the fact that Halith had only encountered him twice, she began calling him terms of endearment, which seemed to betray the essence of her character. Despite my dislike for the character Lord English, his role is so miniscule that he fails to impact my overall view of Halith. Halith is truly a winner. Her struggle with self-identity and longing to belong is a place where many people find themselves at one time or another. Halith’s perseverance and her love for people in general are commendable. It is these qualities which makes this a tale which everyone should read.